Boric acid has antiseptic properties. 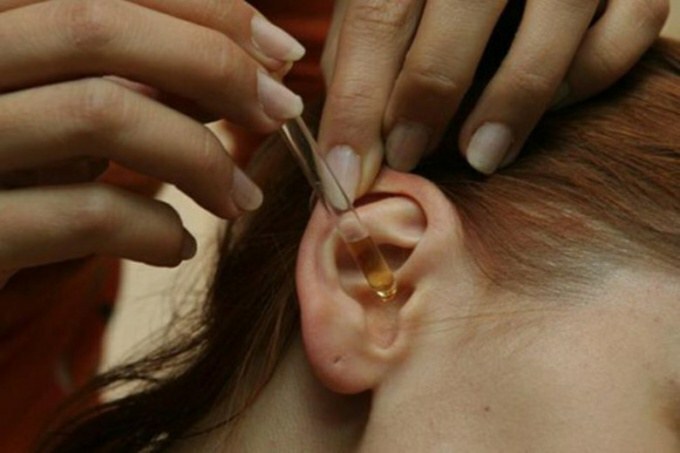 For instillation into the ear is applied in the form of a 3% alcohol solution. Before applying you must obtain a doctor's recommendation to exclude the average and internal otitis, in which the solution is used in an adjuvant with antibiotic drops and pills. If you are assigned to dribble in-ear only alcohol solution of boric acid before use, rinse the ear using a 3% hydrogen peroxide. Put your head on your left side, put 5 drops of peroxide in my right ear, in 10 minutes sharply tilt your head to the opposite side, carefully wipe the sink with a cotton pad. Put your head on your right side, put 5 drops of peroxide in my left ear after 10 minutes, tilt your head and wipe the ear. Peroxide will wash out the ear wax and will clean the ear before burying boric acid solution. If you are uncomfortable to do the procedure sitting, you can do it lying on the right and on the left side. Boric acid also bury lying on one and the other side, as the duration should be at least 10-15 minutes. Instill 3 drops alcohol 3% solution in each ear 4 times a day. After the procedure, plug the ear canal with a cotton swab. At night make turundeki (flagella) of gauze, liberally dampen with a solution of boric acid and insert in your ear all night. If you have written except for boric acid using antibiotic drops, first clean the ear with peroxide, then drip boric acid and after 1 hour drops with the antibiotic. Do not use boric acid for more than 7 days. Side effects when applied topically are impaired renal function, toxic reactions, vomiting, diarrhea, nausea, headache, convulsions, confusion, allergic reactions, in exceptional cases, shock. Do not use alcohol solution of 3% boric acid if you have impaired kidney function if you are pregnant or breastfeeding. For children, make sure you get a doctor's recommendation. In case of boric acid you have at least one of these symptoms, immediately discontinue dribble the ear and contact your doctor. Ear pain can overtake a man at any age. Often it is a disease of young children. But adults are also susceptible to this disease. Children get sick more often because the Eustachian tube in babies is not fully formed, it is shorter and wider than that of an adult. As a result, the infection easily gets into the ear. The main causes of ear pain is otitis media and adenoids. It should be wary if you or your baby developed a cold. Rhinitis passes, and the infection remains and is close to ears. The occurrence of otitis media occurs against a background of colds, various diseases okolonosovyh sinuses, chaotic use is not compatible antibiotics, low immunity, allergies, severe hypothermia. Ear pain is not always about the disease. For otitis media pain will go away for three days and the inflammatory processes continue for about two weeks. Old proven remedy is to treat the ear boric alcohol. Means though "ancient," but actual and in our days. Ordinary boric alcohol sold in the pharmacy. The contents of the vial are heated to a warm comfortable temperature and buried in the ear 2 drops three times a day. Then insert in the ear is thin flagella. If the pain is gone, it does not mean that you recovered fully. Ear infection is very insidious. To treat ear boric alcohol is necessary during the week, then seem at the advice of a doctor. ENT to find out whether you should continue treatment or you are completely healthy. With timely treatment the patient's ear, otitis media ends in recovery, but if the body is weakened, it can quickly become chronic. From the ear will constantly go purulent discharge and significantly reduced hearing. A more serious complication is inflammation of the middle ear, the development of meningitis. 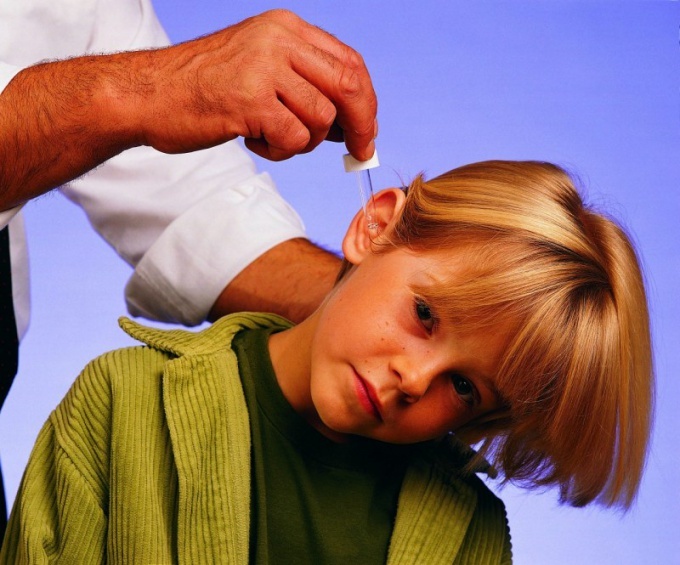 The main rule of successful treatment of otitis media is to cure the disease to end. Not SuperCool and moderate intensity of physical activity. If otitis proceeded with purulent secretions, the hole, leaving the pus may not be delayed. Try not to swim and not dive in water or take precautions that water does not leak into the ear.